Son La (VNA) – The Son La Power Company is working to supply electricity to thousands of families residing in remote areas in the northern mountainous province of Son La. Under a project worth 153 billion VND (6.88 million USD), 2,100 households in the two border districts of Mai Son and Song Ma have thus far connected to the grid. The project will be completed in May, expectedly providing 3,245 more households with electricity. 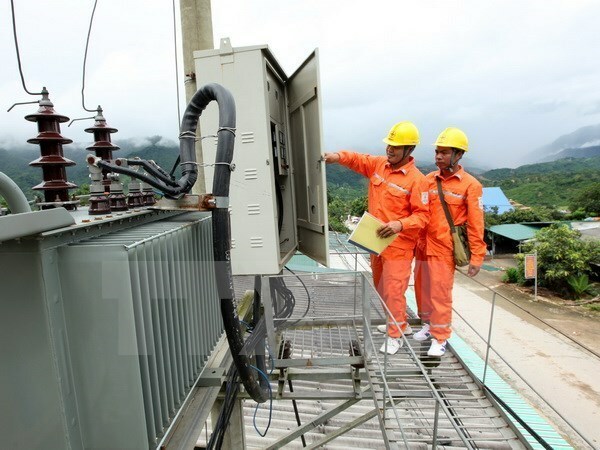 Other project is scheduled to continue in April to make electric power available to 2,800 households in Thuan Chau, Song Ma and Mai Son districts. With a budget of 69.5 billion VND (3.1 million USD), it is expected to finish by the year’s end. Meanwhile, the Electricity Vietnam (EVN) has approved to invest in a two-year electricity supply project that will benefit 4,800 households in Son La’s Phu Yen, Bac Yen, Thuan Chau and Muong La districts. The total investment is valued at 410 billion VND (18.45 million USD).